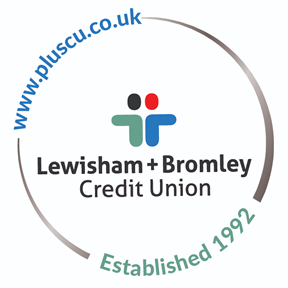 Lewisham Plus Credit Union (LPCU) offers loans for many different purposes to members who are over 18 years of age. We exist to support our members, which means that we offer extremely competitive rates compared to doorstep lenders or pay day lenders. We also seek to provide a convenient and personal service for credit union members. Our interest rates vary from 0.5% per month (6.2% APR) up to 3% per month (42.6% APR). Some doorstep lenders charge 272.2% APR or more - this is ten times as expensive - and you may pay far more than this at some online lenders! This makes a big difference to the money left in your pocket. With LPCU you can borrow small or large amounts over a period of usually 1-3 years but up to a maximum of 5 years, with no fees, no penalty for early repayment and free life insurance (within policy limits). When deciding whether to approve a loan application our loan officers will consider your credit history and your ability to repay, as well as information we receive about our credit history from Credit Reference Agencies. We will not lend more than our members can afford to repay. LPCU officers may assist you in drawing up a simple budget as part of the loan application and ask to see proof of your income in order to check that the loan you are requesting makes sense for you and for the Credit Union. Save as you borrow Loan - Up to £2,000 for members on low incomes, who need help to build savings or with a poor credit record. Personal Loan - up to £10,000 for members with sufficient income and a fair to good credit record. Loyalty Saver Loan - If you have savings with Lewisham Plus that you don't want to touch them but want to borrow an amount less than your savings up to £10,000, we offer a Loyalty Saver Loan at a reduced rate of interest. Guarantor Loans - Available in certain circumstances. Please telephone or visit our branches for more information.